The NBP price in March stood at €23.2/MWh (US$9.4/MBtu), 4.7% down from February and 13.6% down from January. The first listing for the month of April was at €20.7/MWh (US$8.4/MBtu), 10.8% below the average for March. These are relatively low levels which mark a return to the listings seen in 2011. However, the market is not expecting to fall dramatically over the summer, and a mean price of €20.9/MWh is forecast for NBP. Several factors seem to be behind this downward trend. Demand continues to be weak in the UK – 79 Gm3 in 2013, as opposed to 99 Gm3 in 2010. This is also the case for the 28 countries that make up the European Union – consumption in 2013 was at 462 Gm3 (source: Eurogas), down 13% (70 Gm3) compared with 2010. The competitive price with coal, estimated at €14/MWh, is also considerably lower than the current price. And the price of Brent is falling, now standing at less than US$106/b. CEDIGAZ is an international not for profit association dedicated to natural gas information, created in 1961 by a group of international gas companies and IFP Energies nouvelles. It is based near Paris. With a track record of more than 50 years, CEDIGAZ has a well established reputation of reliability, accuracy and independance among gas analysts and is considered a key source of unbiased fundamental industry data. CEDIGAZ has members in around 40 countries, associating most of the leading international oil and gas companies, national and international organizations, banks, consultants, engeneering companies and equipment suppliers. 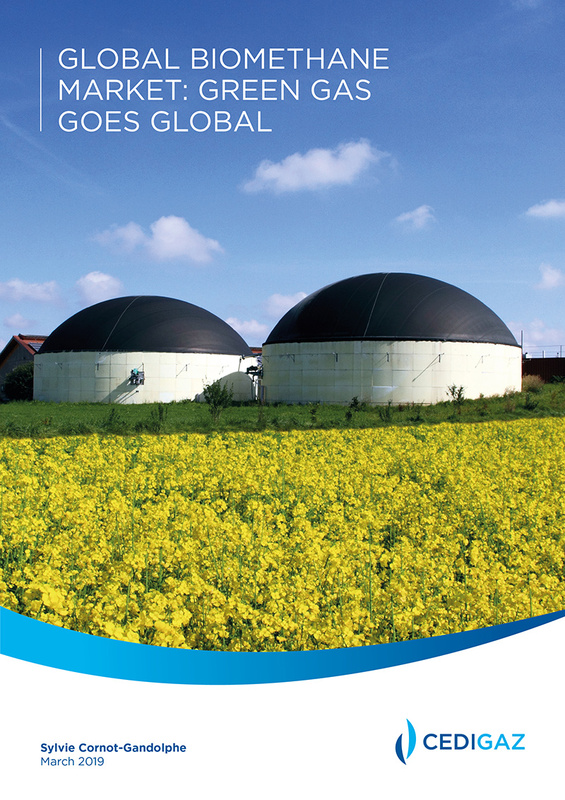 The biomethane sector is booming worldwide.. However, despite a flurry of projects and rising interest among governments and industry players worldwide, data on this sector are comparatively scarce and sources of information – national, regional or sectoral – are highly dispersed. To fill this void, CEDIGAZ, the International Centre on Natural Gas Information, is launching a new report and database focused on global biomethane markets and production plants.